In a big pan, cook pasta according to package directions. 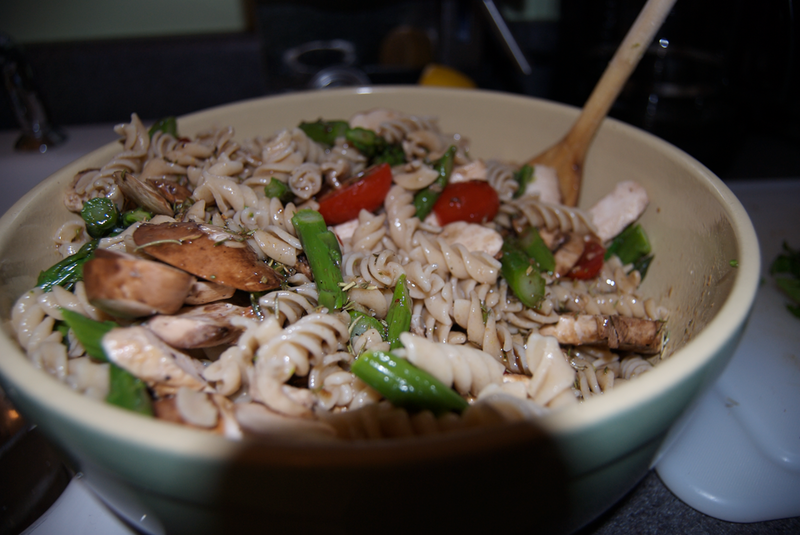 After 5 minutes of cooking, add the asparagus to the water and blanche with the pasta. 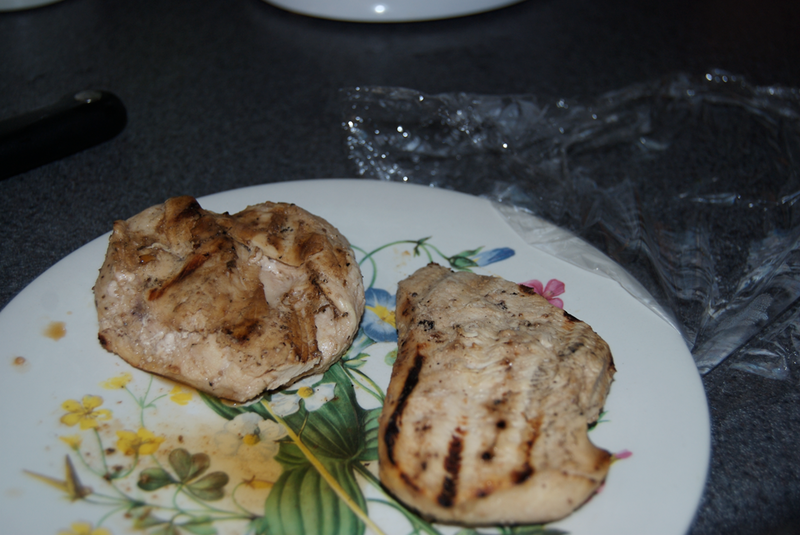 When done, drain all of it in a colander and spray down with cool water. Add 2 cups of ice to the colander and shake around. 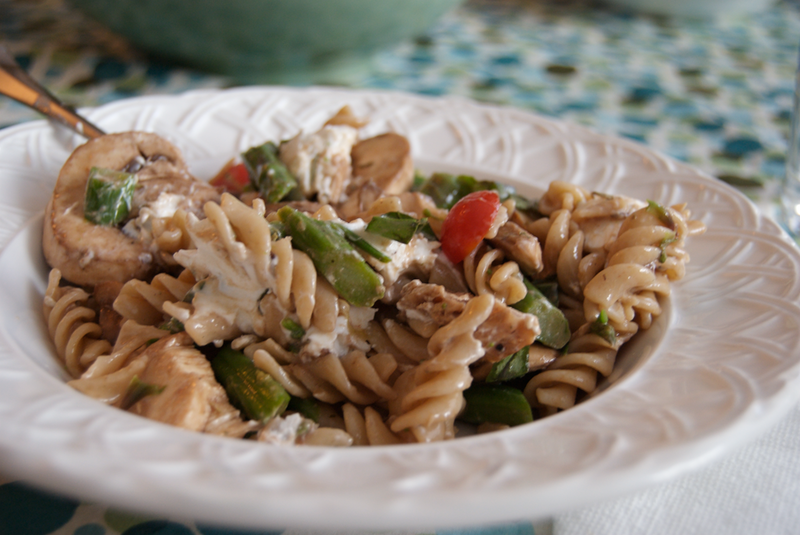 Let the ice cool down the pasta and asparagus while you finish the dish. Toss it around every once in a while so it cools evenly. 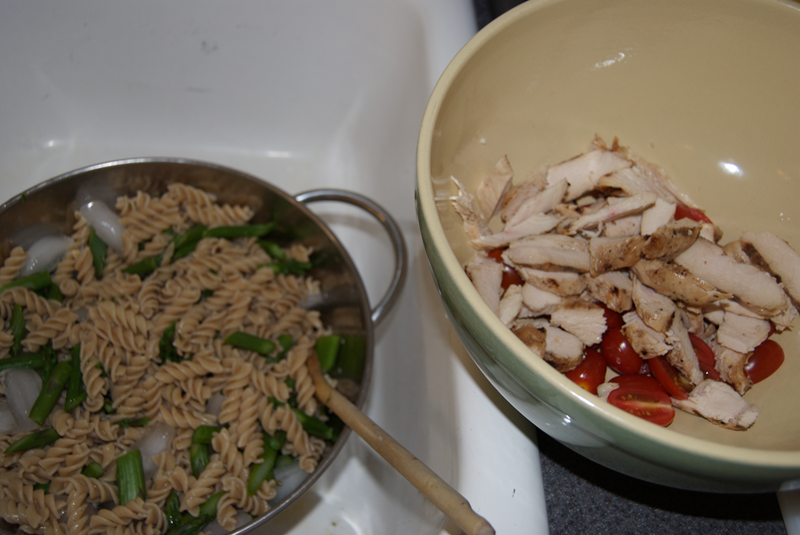 While cooking pasta, heat a large skillet with the 1 Tbsp. olive oil. 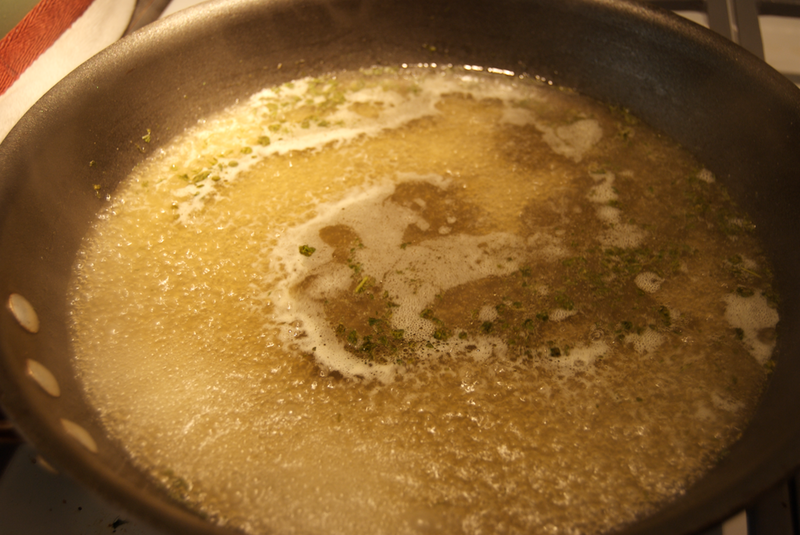 Add the granulated garlic and parsley and whirl around the oil. 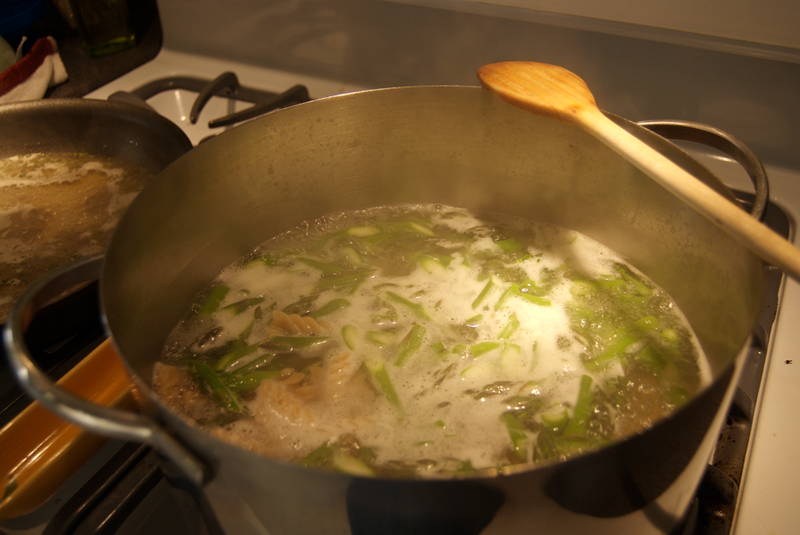 Add the chicken broth and cook on high until broth is reduced to 1/2 cup. Let cool. 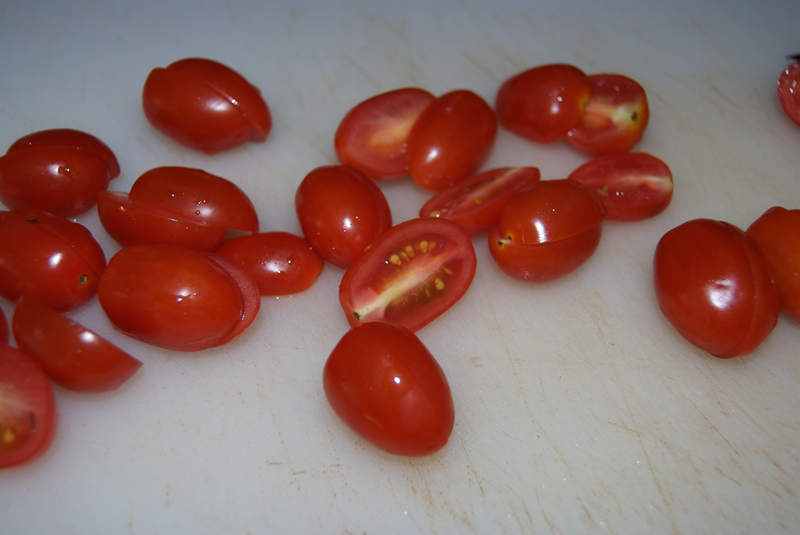 Cut your tomatoes and put in a large serving bowl. 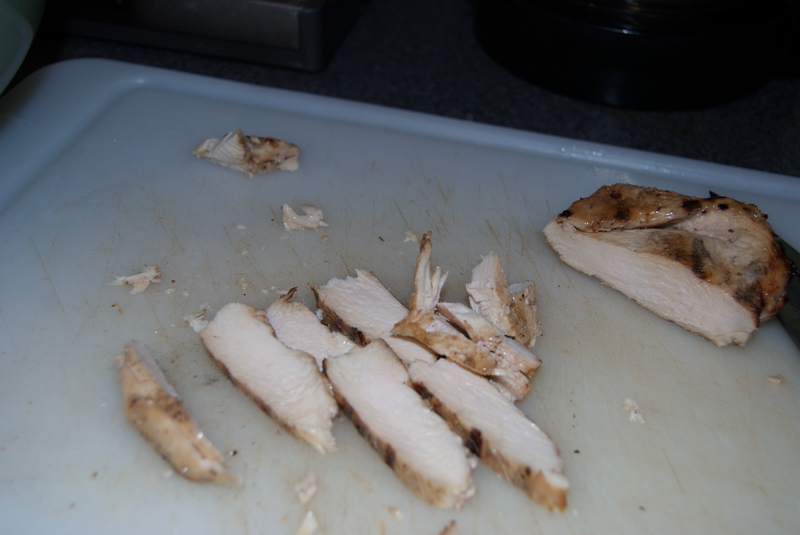 Cut your chicken in 1-2 inch pieces and put in your serving bowl. Now make your dressing. 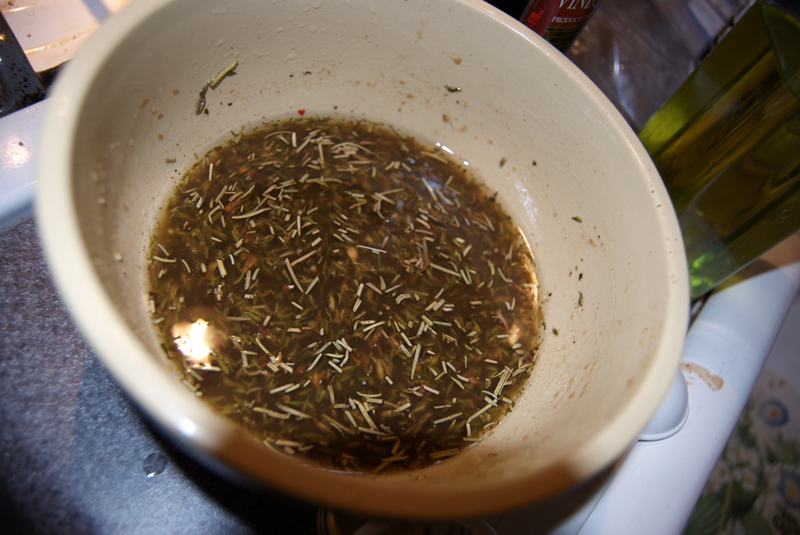 To your cooled broth reduction, add the vinegar and spices. 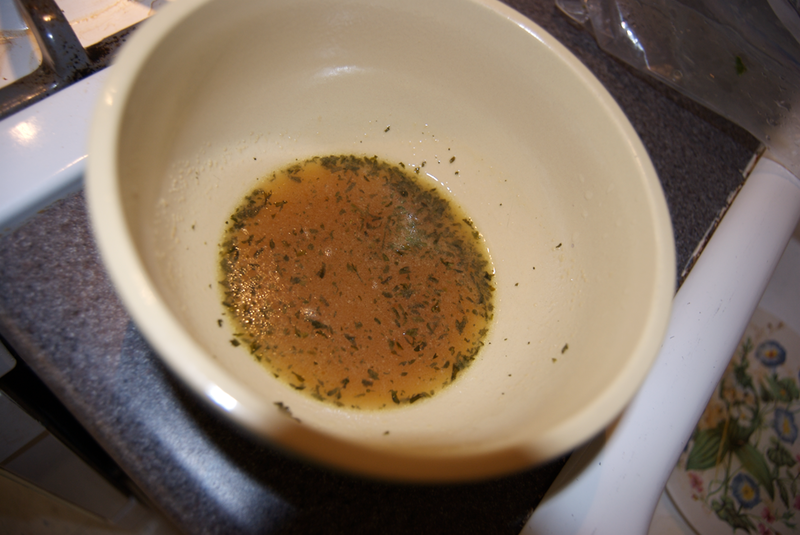 While whisking add the oil until emulsified. 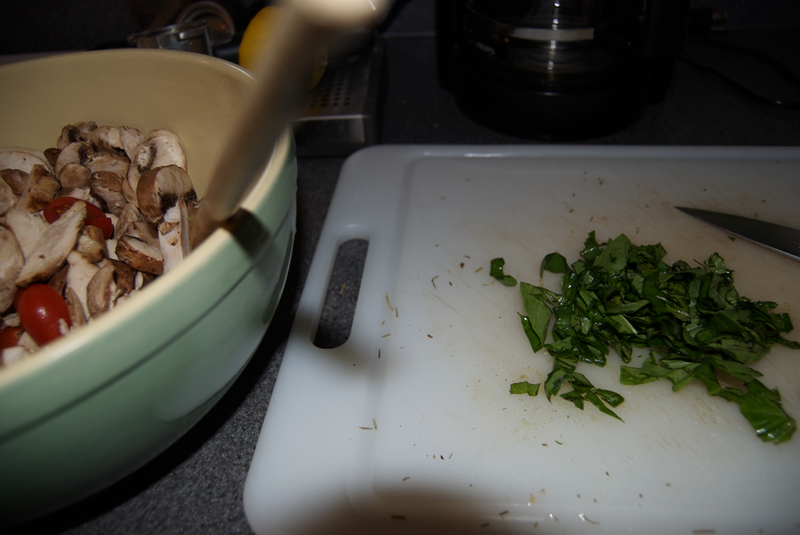 In your bowl, add your cooled pasta and mushrooms. Toss with a spoon. Add your dressing and toss again. 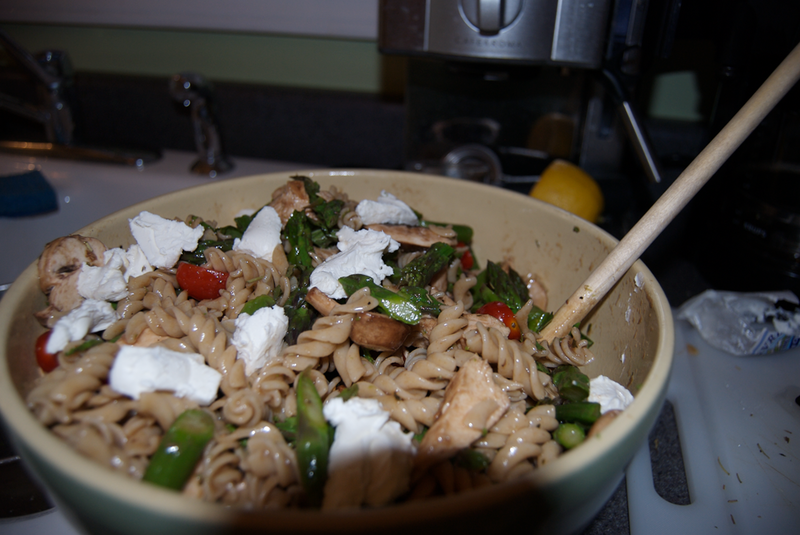 Add your basil and toss again. Add the cheese and toss gently. Serve cool.